The Bourne films are a series of action spy thriller films based on the character Jason Bourne (Matt Damon), a CIA assassin suffering from extreme memory losswho must figure out who he is, created by author Robert Ludlum. The Bourne Legacy introduces a new main character, Aaron Cross (Jeremy Renner), a Department of Defense operative who runs for his life because of Bourne’s actions in Ultimatum. All three of Ludlum’s novels were adapted for the screen, featuring Matt Damon as the title character in each. Doug Liman directed The Bourne Identity (2002), and Paul Greengrass directed The Bourne Supremacy (2004), The Bourne Ultimatum (2007) and Jason Bourne (2016). Tony Gilroy co-wrote each film except forJason Bourne and directed The Bourne Legacy (2012). Damon chose not to return for the fourth film. 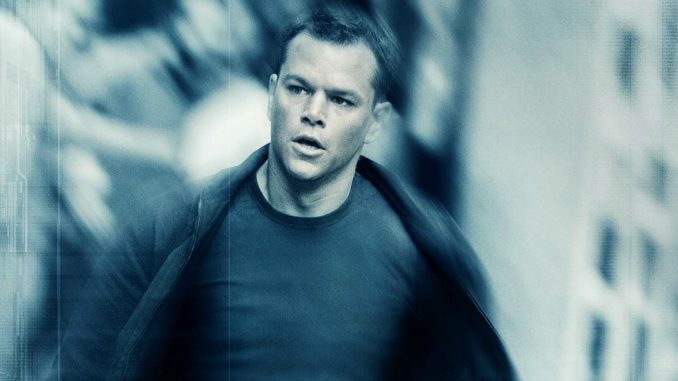 The character of Jason Bourne does not appear in Legacy, but mention of his name and pictures of Damon as Bourne are shown throughout the film. Damon will return for the fifth installment, Jason Bourne (2016).